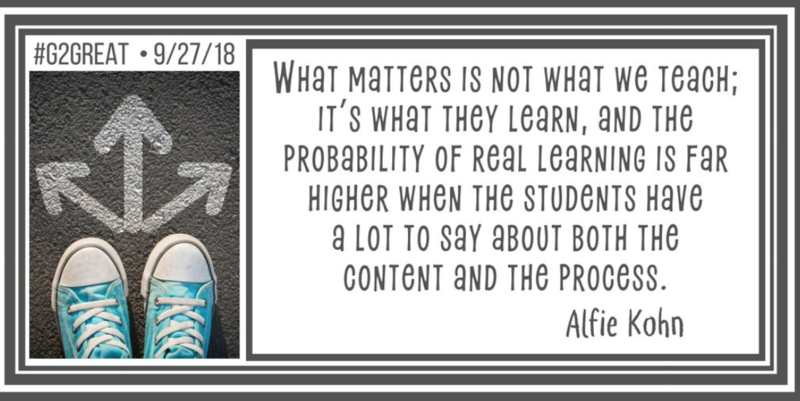 On Thursday, September 27, 2018, the #G2Great PLN had a brilliant conversation regarding the importance of student-centered learning. After all, students (and their needs) are what teaching is all about. That sounds simplistic, doesn’t it? 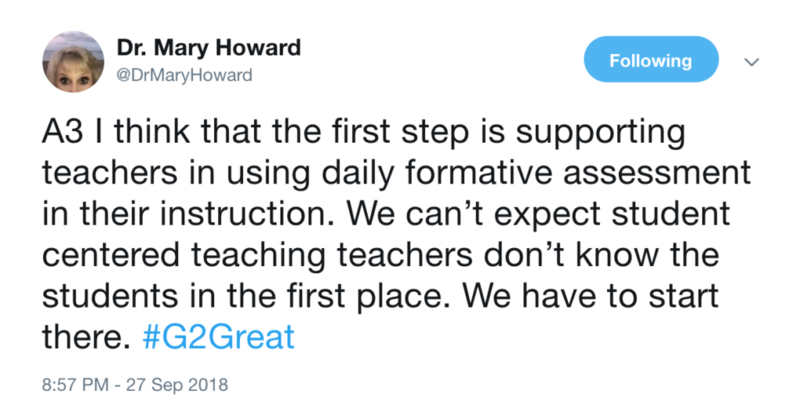 It would be a perfect world if that were easily done; although, the reality is that teachers are pulled in many directions throughout the school day. There are pacing guides with curriculum goals. 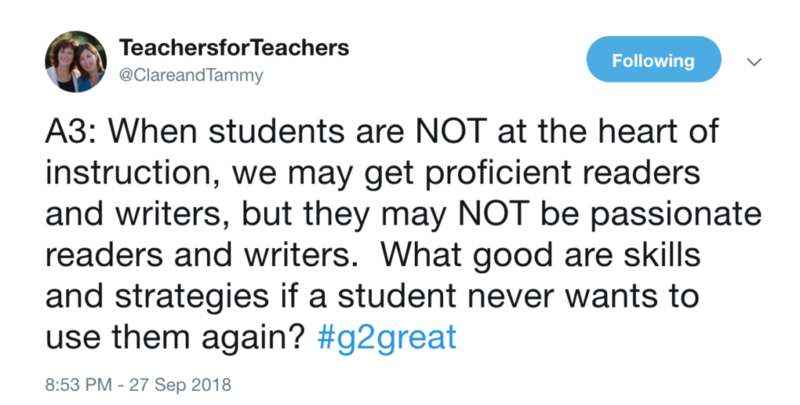 There are standards and grade level expectations. There are report cards, progress reports, and parent meetings. There are so many meetings: RTI, faculty, and data meetings just to name the top three. All of which have a purpose and are designed to keep students and their needs at the forefront. However, it is the day-to-day work that is the grease for that machine. It is the softer formative assessments in the hands of a highly skilled teacher that help children to learn and grow. When I think of learning and growth the word steady comes to mind. Yet, we are living in a world marked by change: technology, politics, or global demographics are all shifting beneath our feet. 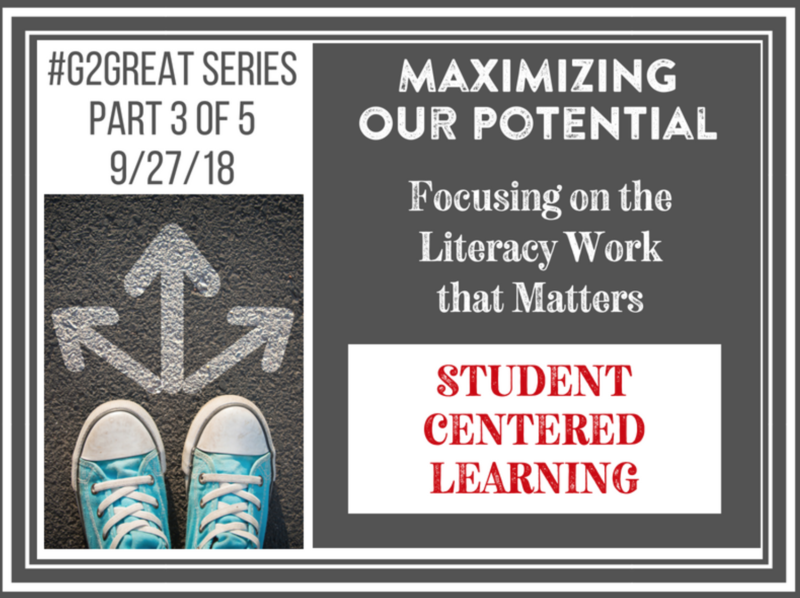 For these reasons, now more than ever, we need to have the conversation as to HOW we can become more student-centered because learning and relevance are two sides to the same coin. The days of reading from a scripted program really need to be over. Our students are coming into our classrooms with a wide range of life experiences, access to languages, and world knowledge. We cannot assume that what they bring will be familiar to us. In many ways, this new normal is a gift. 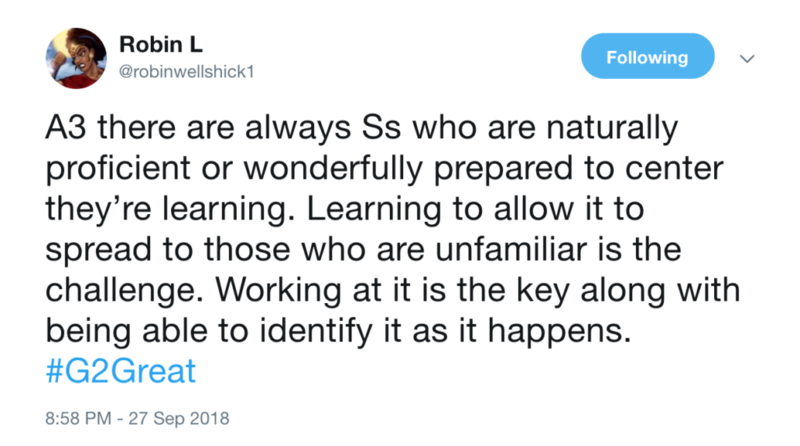 We have so much to learn from one another. Educators who practice student centered teaching share the responsiblity for learning with their students. These teachers are keenly aware which studens are ready be more independent. Teachers who embrace student centered learning are open to their own learning process knowing that there is always room to grow. We are teachers, who value our students and all that they bring into our classrooms. A student-centered classroom is marked by a community voice. It is not about me and what I have to teach you. It is about us and what we have to learn. Thank you, for learning with me.